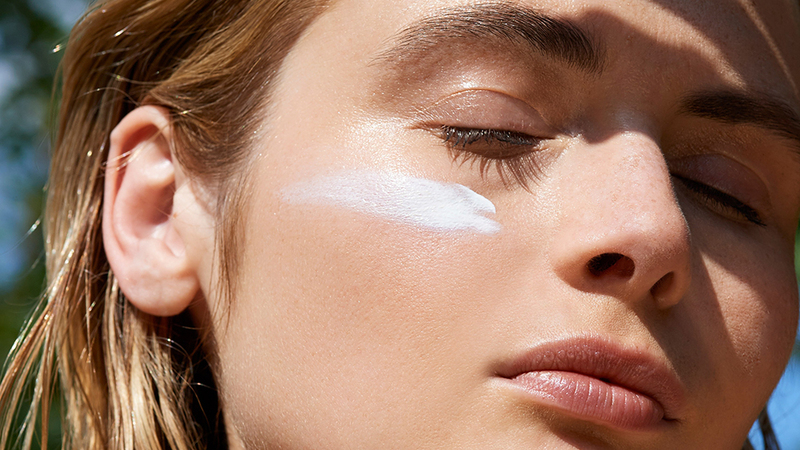 What sunscreen is best for your skin? It’s time to talk about what ages our skin the most. Apart from our everyday stresses and environmental toxins, the sun is potent to our skin. It can do damage without us even realising it just by sitting next to an office window. Australia has also recently been awarded the title of having the highest rates of melanoma in the world. If you can already see the effects of pigmentation and ageing thanks to a day at the beach, can you imagine what that does beneath the surface? Find out what sunscreen is best for your skin below. What are the different types of sunscreen? And what sunscreen is best for your skin? It’s as simple as Slip Slop Slap. You need to be wearing sunscreen every day to avoid the sun’s harmful rays. But which products are best for the skin? There are two types of sunscreens, “chemical” sunscreens are organic (carbon-based) substances, while physical/mineral sunscreens are inorganic (non-carbon-based). Chemical sunscreens often contain UVB-absorbing chemicals only; however, there are some chemical sunscreens that contain both UVB and UVA absorbers.Physical sunscreens act as a shield to deflect both UVA and UVB light and contain ingredients such as titanium dioxide and zinc oxide. As well as blocking both UVB and UVA rays, physical sunscreen works from the minute you apply it. It is unlikely to irritate your skin, so if you are prone to sensitivity it may be your best option. It is also less likely to clog your pores! Chemical sunscreen is more resistant to sweat and easier to apply. Unfortunately, it can lead to irritation and clog pores – if you suffer from acne, this is one to avoid. Once applied wait 20 minutes before going into the sun. It’s important to use a sunscreen that has high SPF ratings and broad spectrum protection. The higher the SPF the better! When possible, buy SPF 50. According to Michelle from lab Muffin Beauty Science, SPF 30 lets 3.3% UV into your skin, SPF 50 would let in 2%, so SPF 50 is actually 1.65 times more effective. What else can you do to avoid the sun’s harmful rays? Get a spray tan of course! * These days, spray tans look like the real deal so why risk your health for a real tan? At Sea Beauty North Beach we use Aussie Bombshell Tan. It comes in a variety of shades and is an express formula, no need to sit around in your tan all day! Wait 2-3 hours depending on the depth of tan you prefer and wash it off. Aussie Bombshell is Ecocert Certified Organic DHA and paraben free. It is also hypoallergenic and made in Australia! Try Aussie Bombshell at our salon at North Beach and take advantage of our current Summer Special. Buy 4 spray tans for only $25 each (normally $40 each). Limited time only. * It is important to note that you must still wear sunscreen with a spray tan when going out into the sun.